In short, our enemies, be they Marxists or jihadis, work diligently to destroy the inalienable liberties of Patriotic Americans, with no intention of doing so within their own communities. 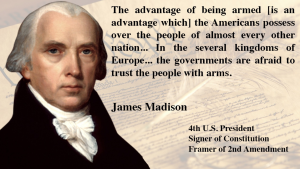 Understand the threat & understand America’s Founding Principles. Never surrender any liberty, in any amount, for any reason. Identify Marxist & jihadi operatives and organizations at the local level and use all legal means to remove them from your community. Recently in Portland, another Patriot Prayer rally was had by leader Joey Gibson. The first thing that happened was the rally was scheduled in a City Park. All patriots were disarmed upon entering the park to which unfortunately they complied. Antifa by the hundreds were allowed to assemble across the street and they were not disarmed. After the speeches, a march began. Within one block, several home made bombs were set off and the patriots began to scatter about the street breaking formation. Antifa threw feces, bricks and rocks. The Portland police then immediately revoked the permit and declared a riot. Hand to hand combat ensued. One person wearing a protective vest was stabbed twice with a large knife. It did not penetrate the vest. Others were hit over the head with steel pipes and bricks. The police only pelted antifa with pepper pellets. Fighting continued. Antifa moved barricades pinning in the marchers. The police did absolutely nothing to protect the first amendment march or the marchers. The march had to stop. The patriots returned to the City park which was then immediately ordered closed. The media lied about the whole thing saying that the “march became violent” or “right wingers held a violent protest”. Lesson of Portland same Lesson of earlier protests: If you can’t show up with a well rehearsed and thought out Plan to WIN then don’t show. How many recruits do you think you’ll get at Portland or Berkeley? Protest and better yet ORGANIZE where OUR PEOPLE are…just like the Left does. The Left doesn’t organize on Red Territory or campuses – they organize on Blue ones. That’s because they’re professionals and this is their profession. Learn. ANTIFA has been around since the 1930s and the Marxists since 1848. Stop wailing that they beat you or that the cops [!] didn’t protect your right to kick the Hornets in their nests. Show up Strong or don’t Show. Even if irrefutable evidence were to emerge that: Sharia law; the “deep-state”; domestic anarchists, quislings and treasonous traitors; the threat of a 2nd usurpation of the American presidency, and the belief that some foreign or domestic enemy was seeking our destruction with the aid of said foregoing litany of Orwellian waste no longer existed, the pre Constitutional 2nd Amendment right to keep and bear arms would remain sacrosanct both legally and in the hearts & minds of the American people. Furthermore, if the megalomaniacal multicultural frauds at the United Nations and the Carnegie, Ford and Rockefeller foundations don’t like it, let them debate with each other. Parenthetically, UTT’s timely (and conceivably lifesaving) alert regarding sharia-adherent violence against non-Muslims in London (and elsewhere in England) is an alert which should not be ignored; and which, as a matter of fact, demonstrates gross malfeasance by the president’s Secretary of State for not ordering that a contextual public announcement be aired on behalf of American tourists heading for Europe as summer begins. Too — BEWARE! — notwithstanding the Magna Charta, the exercise of free speech in London is a thing of the past if it references the sharia-adherent crime wave afoot over there, i.e. focused mainly on non-Muslim victims. God Bless America and UTT too; and have a happy 4th of July. We must not go down the same path as London, and dare we let the muslim moochers set up shop & no go zones anywhere in our country. We must never cower to them nor give them the opportunity to take advantage of our kindness that many naïve people in this country will do. 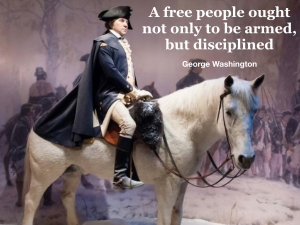 We shouldn’t be fighting wasting time with the antifa, but rather focus & prepare for those who invade and try to cause an upset to our constitution and laws. I think an underground movement one that is not openly open for attacks by those really annoying antifa’s, and other groups, like back in the day that’s how some would organize, be smart about it. Respectfully, the 2A doesn’t protect anything Sir. Your willingness and ability to shoot tyrants in the face is what protects our rights. Arm yourself and train yourself well because the Bill of Rights, is only a piece of paper. I think you missed the point of the article Fred. The point was we all have the inalienable right to bear arms with or without a Constitution, with or without a United States of America.